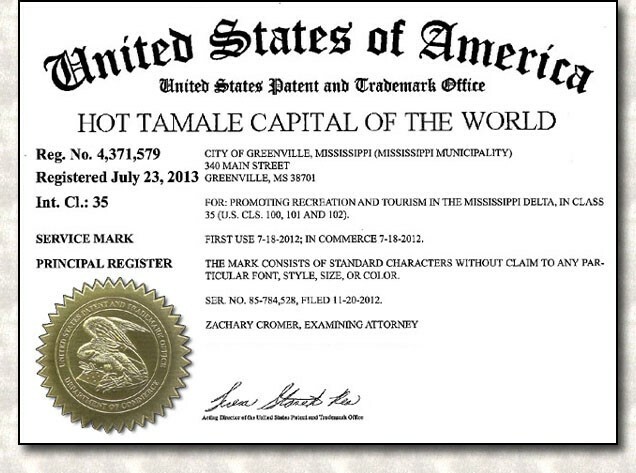 Then Greenville Mayor Chuck Jordan proclaims Greenville, Mississippi to be the Hot Tamale Capital of the World. Read the official declaration here. "Hot Tamale Capital of the World"
According to the Southern Foodways Alliance and their Mississippi Delta Hot Tamale Trail, the history of the hot tamale in the area dates back to the early part of the twentieth century when migrant workers were brought from Mexico to work with African Americans harvesting cotton. Another theory gives credit to the Italian population that traveled down the river and shared recipes with the migrant workers. But some think that tamales go back one hundred years earlier to the U.S.-Mexican War when U.S. soldiers from Mississippi traveled to Mexico and brought home tamale recipes. Last, or more appropriately first, the origin could go back as far as the Native Americans who inhabited the area for thousands of years and planted maize as a primary food source. Regardless of which story you believe to be correct, the hot tamale has been around the Delta for generations. For the complete history of the Delta hot tamale, and information about the Mississippi Delta Hot Tamale Trail, please visit the Hot Tamale Trail website.